‘Tis the season for mistletoe, gingerbread, holly and big red bows – all of which create the backdrop for A Christmas Carol, Charles Dickens’ holiday tome and the inspiration for many a theatrical staging from Thanksgiving to Christmas. 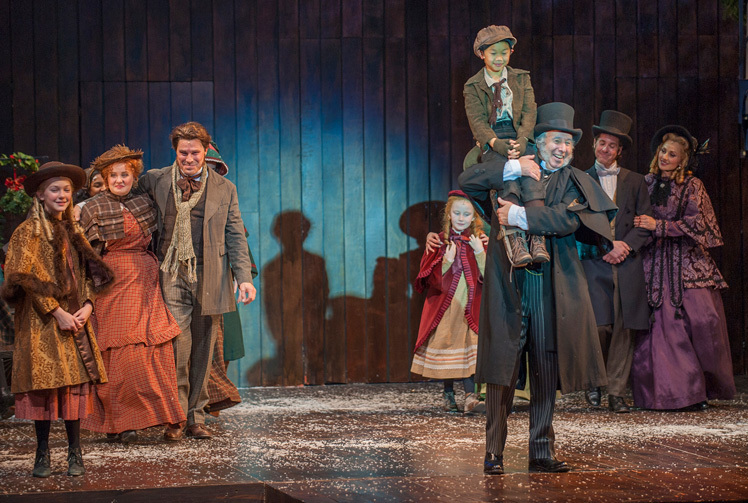 Presented by Devon Energy, Lyric’s A Christmas Carol goes a step further with this tale of Ebenezer Scrooge and finding the soul of the holidays – it sets the tale to music and choreography. Filled with songs, great costumes and detailed sets, this annual production by Lyric Theatre of Oklahoma pulls all the best moments of Dickens’ classic into a stage adaptation that is one of the season’s stand-out productions. The play opens Nov. 28 at Lyric on the Plaza, 1725 N.W. 16th St., in Oklahoma City’s creative Plaza District. The show runs through Dec. 27, and tickets are $40, available at www.lyrictheatreokc.com.